CARDIFF (Nov. 19) – Japan coach Jamie Joseph said he felt a draw would have been a fair result after a last-gasp drop goal saw the Brave Blossoms lose 33-30 to Wales at the Principality Stadium. 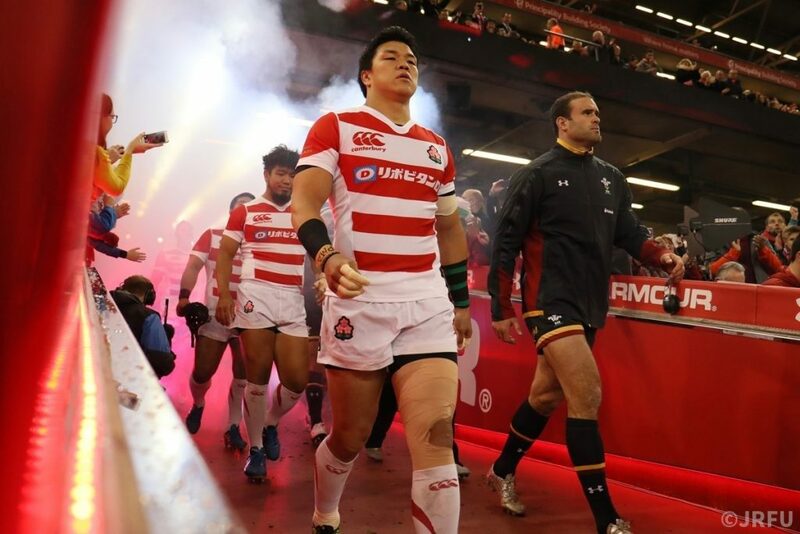 Played in front of 73,969, the largest crowd many of the Japan players had ever played in front of, Japan scored three tries on the back of a much improved set piece. In the loose, the forwards led by man-of-the-match Amanaki Lelei Mafi worked tirelessly, and it was a much relieved Wales camp after the game. Japan led 6-0 thanks to two early penalties from Yu Tamura before Wales struck back with tries from Dan Lydiate and Jamie Roberts, both converted by Leigh Halfpenny. But an intercept from Akihito Yamada, converted by Timothy Lafaele, ensured there was just one point between the teams at halftime as Wales led 14-13. Wales extended their lead early in the second half with Halfpenny kicking a penalty and adding the extras to a try by Sam Warburton. Japan bit back though with Kenki Fukuoka finishing off some superb passing and Tamura adding the conversion from the touchline. Halfpenny then kicked two more penalties and Tamura one as Wales led 30-23 with less than 10 remaining. But Japan pulled level when Mafi created space for Amanaki Lotoahea, with Tamura again on target with the conversion. It looked as if Japan had done enough for a draw, but with 10 seconds remaining their hopes were dashed when Sam Davies slotted over a drop goal from 30 metres out.